The Mavs are a professional basketball team and members of the National Basketball Association. Founded in 1980 during the NBA All-Star Game, with the team’s name coming from the 1957–1962 TV western Maverick. The name was chosen from 4600 fan-mailed postcards, beating Wranglers and Express. Since their inception, the Mavs have advanced to the playoffs 17 times. The Stars are a professional ice hockey team and members of the Pacific Division of the Western Conference of the National Hockey League. The team was founded during the 1967 NHL expansion as the Minnesota North Stars, and they debuted in Dallas during the 1993-94 season. 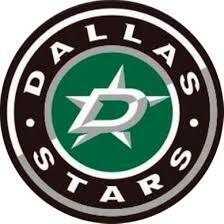 During the playoffs that year, the Stars won the Quarterfinals but lost in the Semifinals. Since then, the Stars have made it to the playoffs 11 times. The Stars have won division titles, two President’s Trophies as the top regular-season team in the NHL, the Western Conference Championship twice, and in 1998-99, the Stanley Cup. The Cowboys are a professional football team and members of the National Football League. The Cowboys joined the NFL in 1960 as an expansion team. Since then, the Cowboys have appeared in the playoffs 30 times–an NFL record. The Cowboys are known as “America’s Team,” due to their record 160 sold-out regular and postseason games. The team carries the records for most appearances in the NFC Championship Game (14), most Super Bowl appearances, are tied for the second most Super Bowl Titles (5), (8), and longest consecutive winning seasons (20). In 2012, Forbes named the Cowboys the highest-valued sports franchise in the history of the United States. The Texas Rangers are a professional baseball team located in the DFW metroplex in Arlington, Texas. The Ranger’s franchise is currently a member of the western division of the MLB’s American League. Established in 1961, the Texas Rangers baseball club has made an appearance in six major league post seasons, five following division championships in 1996, 1998, 1999, 2010, and 2011, and as a wild card team in 2012. The Rangers brought home their first American League Pennant in 2010 after beating the New York Yankees in six games, advancing them to the 2010 World Series for the first time in franchise history, then following up with a second World Series appearance in 2011. The Frisco RoughRiders are the Double-A affiliate of the Texas Rangers and play their games at Dr Pepper Ballpark in Frisco, Texas. The club has finished first in all of Double-A Baseball in attendance for each of the last seven years! The RoughRiders were named winners of the 2007 Freitas Award by Baseball America. The Freitas Award is given to organizations “on a path of long-term excellence and are true parts of their communities.” The RoughRiders were also winners of the 2008 “Baseball Organization of the Year” by Ballpark Digest.